Yau Ma Tei is an area in the Yau Tsim Mong district. It was one of the first areas to be developed after the British acquired Kowloon in 1860. 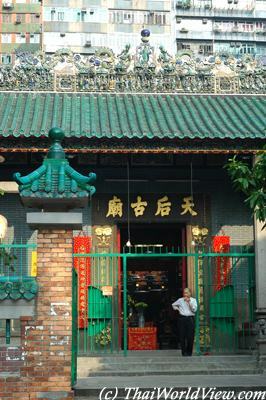 At Public Square Street, there is a famous Tin Hau Temple built in 1876. 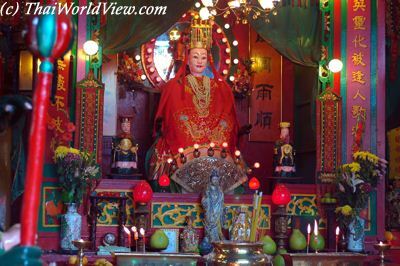 This is one the most famous of the over sixty Tin Hau Temples that can be found in Hong Kong. Officially no photography is allowed inside the temple. A formal request to the temple committee needs to be submitted. Its location in the middle of urban Yau Ma Tei seems strange, but a long time ago, before land reclamation, it was on the harbour front. People continue to worship Tin Hau here. 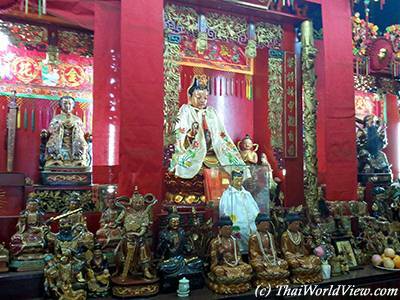 This beautiful and old temple is dedicated to the Goddess of Seafarers Tin Hau. 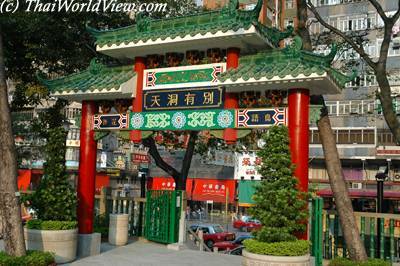 The Tin Hau temple in Yau Ma Tei is divided into three sections. Only one of these is actually devoted to Tin Hau. 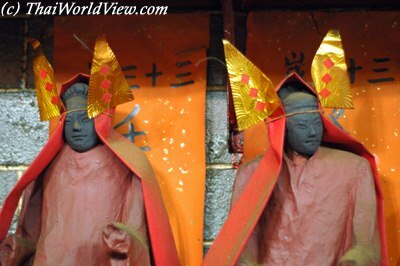 The other two sections are dedicated to Shing Wong, the god of the city and To Tei, the god of the earth. 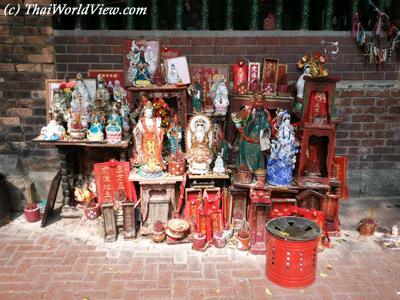 Outside Yau Ma Tei's Tin Hau temple, there are altars and statues that local people come to venerate. 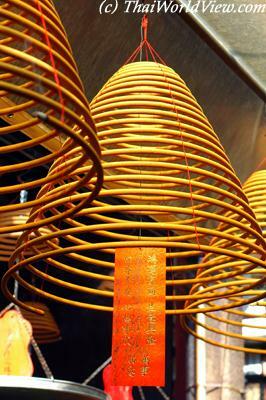 The adjacent "Temple Street" featuring the famous night market was named due to the presence of the Tin Hau Temple. 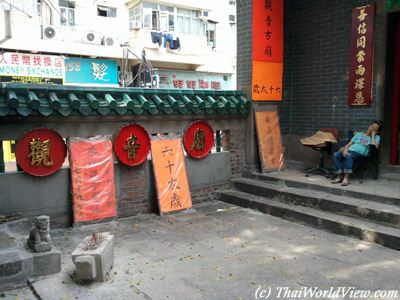 Surrounded by urban hype, this old temple sits in a small and concreted park usually. 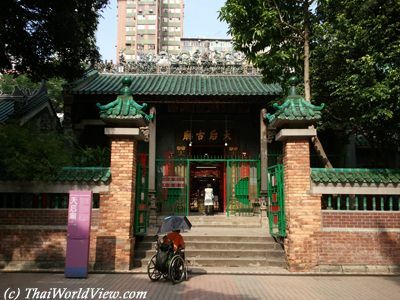 The famous Tin Hau Temple in Yau Ma Tei was built in 1876. The Temple is at Public Square street. 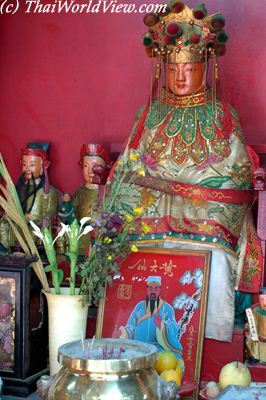 Tin hau is the goddess of seafearers.Before Yau Ma Tei area was a shallow bay but with land reclamations sea is now far. 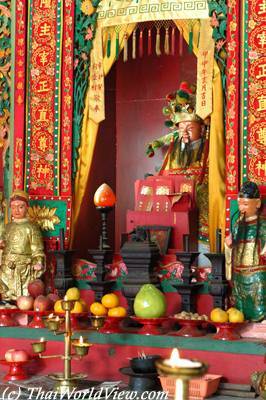 Tin hau, goddess of seafearers, altar is located in the main hall. Local earth gods are present in adjacent halls. 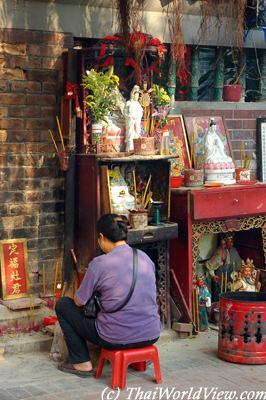 Various offerings can also be done outside Tin Hau temple to various Chinese deities and gods. 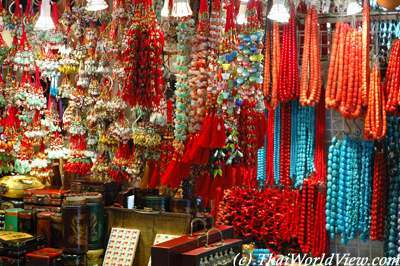 In Yau Ma Tei area, there is a special Jade Market, which attracts many people. Many Chinese people believe that jade can protect from evil spirits and calm emotions. Bunches of tangerine peel set to dry and for later use in cooking. it is thought to improve digestion also. 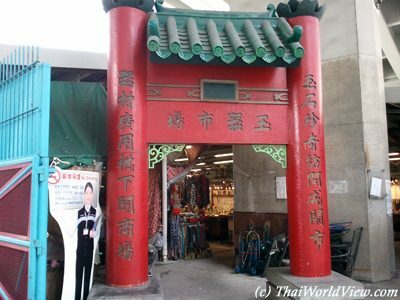 One of the entrance to the famous Jade Market in Yau Ma Tei. 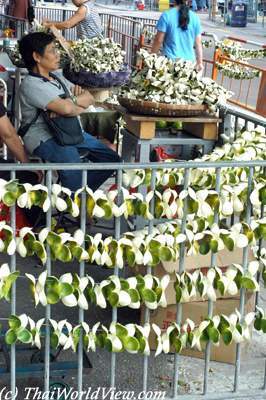 Many shops in the surrounding area are selling jade also.